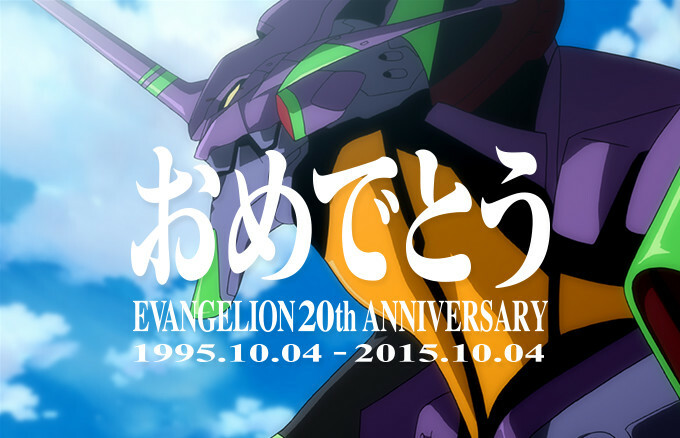 When Neon Genesis Evangelion aired in Japan, I was 3 years away from being an anime fan. It may not have been my first anime, but in discussing the anime with fans in my high school anime club afterward, I had an idea of the impact Evangelion had upon those who saw it. From the robot battles to the psychological underpinnings of each of its characters to even the maligned ending, there were many moments worth treasuring and cherishing. For me and probably many others, the first glimpse of Evangelion was its opening theme, the iconic, “Cruel Angel’s Thesis” performed by Yoko Takahashi. It’s slow introduction, reminiscent of a birth, would fade, replaced by an upbeat mood that wormed its way into my (and many others’!) ears to make it the most recognizable anime song of all time. That was 20 years ago and yet the song continues to stick as the franchise continues to flourish through the Rebuild movies. In observance of that milestone, the con goers at Anime Expo all gathered together in the large concert space near the Dealer’s Hall in hot, muggy Los Angeles to pay tribute to Neon Genesis Evangelion. The event began not with a grandiose introduction extolling Evangelion‘s achievements but with a short animated work called “Peaceful Times” by Evangelion composer Shiro Sagisu. “Peaceful Times'”, seen below, compiled a bunch of sketches (by Sagisu, no less!) that tread the line between the real and the magical together with some photographs and footage of what’s presumably Sagisu at work. What struck me most about the short was Sagisu’s music. Its execution, which mixed Gershwin and Broadway with upbeat vocals, provided a fun accompaniment to the enjoyable short film. The audience seized upon those lines and stood up, clapping and whooping with delight. For me, Yoko Takahashi’s voice was as moving as the first time I had heard it on my friend’s TV (via VHS tape) so many years ago. The only segment that marred this performance was Takahashi’s repeated bursts of “Cha!” during the bridge to engage the audience and get them to follow suit. I felt this an unnecessary measure because it would have been far better had she stuck to the song as written to let the heartfelt, optimistic sentiments circulate into the room. But the music didn’t stop there. 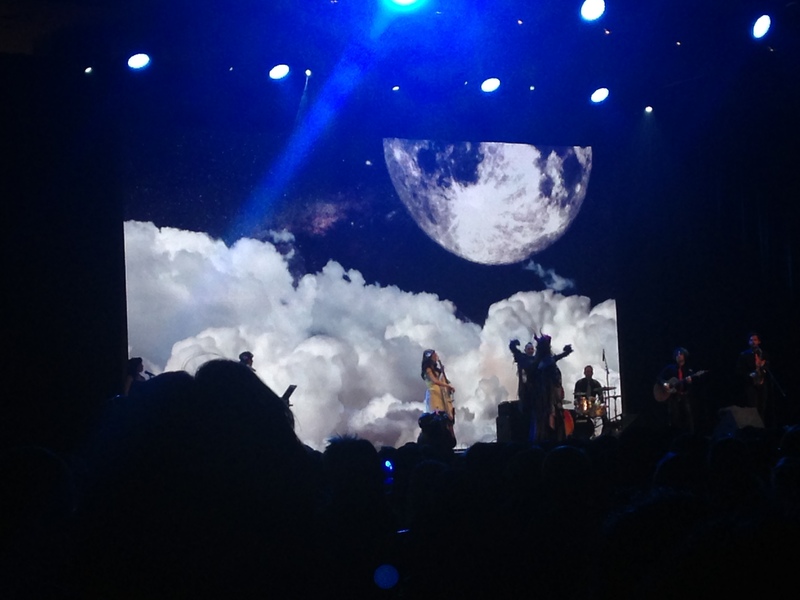 Takahashi followed up on the performance of “Cruel Angel’s Thesis” with a cover of the iconic theme from the Ghibli movie Laputa. Her delivery of the lyrics was dreamy and nostalgic, bringing forth a tranquil mood laden with emotion that moved the audience. As Yoko Takahashi’s performance drew to a close, it was another musician’s turn to take the stage: the Juilliard-trained cellist, Eru Matsumoto. Eru Matsumoto had made her appearance at Anime Expo in 2014, playing the music to Sword Art Online at the symphonic concert. Now, she came through with a brief cello rendition of one of my favorite tracks from Evangelion: the “Decisive Battle”. It was more of an introduction and a bit of a teaser more than anything else and after a few measures she and Yoko Takahashi prepared for the next piece: Evangelion‘s ending theme “Fly Me to the Moon”. Although the original version didn’t channel Sinatra all too well, Yoko Takahashi and Eru Matsumoto combined to bring out a version rich in emotion. Eru’s solo hit all of the right notes and she even showed some creative flair with her flourishes. Above all, the two meshed together beautifully, playing in such a way that, per the lyrics, made you feel like you were taking a lovely journey beyond Earth’s boundaries. The two weren’t finished yet as Yoko Takahashi then launched into “Tamashii no Refrain” from Evangelion: Death & Rebirth. Although the beginning had a nostalgic mood, it quickly dissipated as Yoko Takahashi fired on all cylinders with an energetic and emphatic outburst in the chorus and a very determined and persistent tone in the stanzas. My favorite part of the concert came right after, when Eru Matsumoto went in with a full rendition of “Decisive Battle”. The result: a piece that moved slowly and heavily like a funeral dirge to throw an oppressive atmosphere that fits what the track is used for. She then transitioned over to a cello version “Cruel Angel’s Thesis”, much to the audience’s delight even if there wasn’t too much of a departure from the original, melodically speaking. The close of the concert wasn’t anything to speak of because all the songs that Yoko Takahashi could perform for the Evangelion tribute she performed. So with nothing left to go on, she led the encore with another round of “Cruel Angel’s Thesis”. It was a cheesy way to go, but that’s just as well. The audience loved it as much as they loved it the first time and greeted it with much screaming and delight. For many, it was a chance to relive what Evangelion meant to them by listening to the music that made an indelible mark on their early entry into the anime fandom, an introduction to anime that it will forever hold a place in their heart. Wow I really feel like I missed out by not attending this…Eru Matsumoto was great last year! Not to mention Yoko Takahashi who in a way introduced me to music sung in Japanese. I debating going but felt there was a good chance it would be mostly random montages of Eva images and recorded images of people talking about Eva with Takahashi singing one or two songs as most. I also really wanted to and did attend the charity auction…if there wasn’t a big conflict for me, I definitely would have attended! Takahashi was a lot of firsts for me, particularly in showing me that J-pop can actually be pretty enjoyable. Kinda wished that she did more in terms of performing more anime-related works like that one Shakugan no Shana ending, but you can’t have everything. Hope you were able to plunder the charity auction for good loot though!